Role model couple, Francis and Amara Van-Lare have sadly announced their divorce on their social media pages. This news came as a shock to many of their followers, as they were couple goals for a lot of marriages. 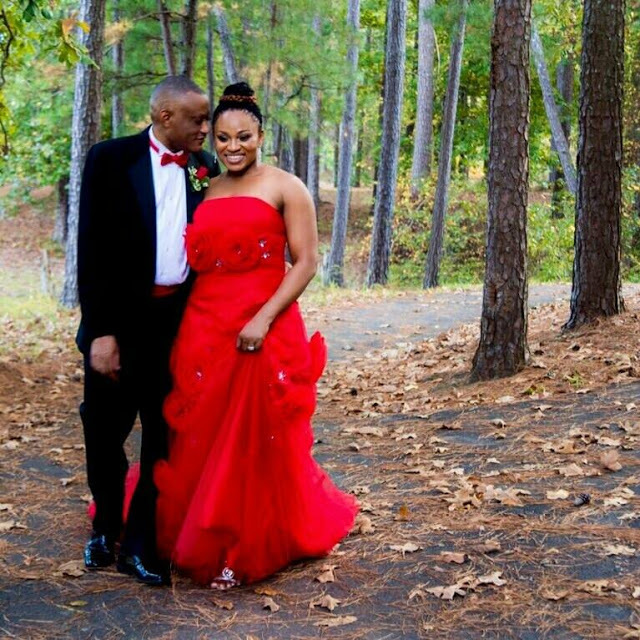 The couple got married on the 11th of October, 2014 in Atlanta Georgia, in a colourful wedding ceremony. They are blessed with seven children from their previous marriages. No one can say exactly why they parted, but it was Francis who first posted a cryptic message on facebook in the early hours of Monday, leading many to wonder if all was well in the Van-Lare household. 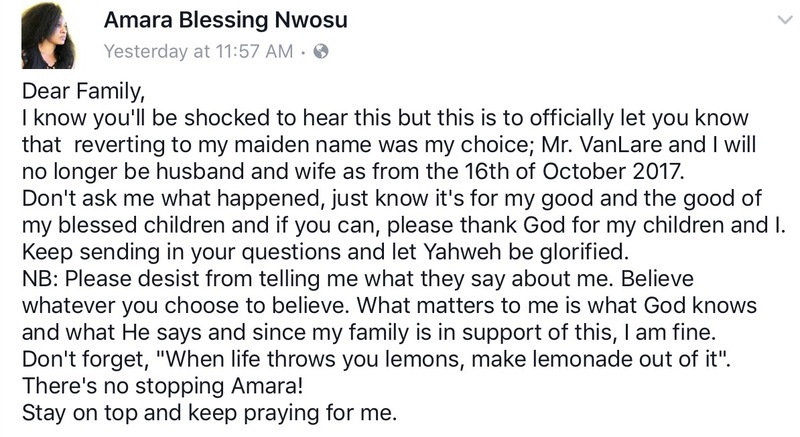 Later in the evening, Amara who has since removed her “Van-Lare” surname on social media, confirmed that they had truly parted ways and asked for privacy and prayers at this time. I know you’ll be shocked to hear this but this is to officially let you know that reverting to my maiden name was my choice; Mr. VanLare and I will no longer be husband and wife as from the 16th of October 2017. Don’t ask me what happened, just know it’s for my good and the good of my blessed children and if you can, please thank God for my children and I. Keep sending in your questions and let Yahweh be glorified. NB: Please desist from telling me what they say about me. Believe whatever you choose to believe. What matters to me is what God knows and what He says and since my family is in support of this, I am fine. Don’t forget, “When life throws you lemons, make lemonade out of it”. There’s no stopping Amara! Stay on top and keep praying for me. This was really unexpected, we can only wish them the best in this new chapter of their lives.